Lafayette County is named for Marie Joseph Paul Lafayette, who was a French general who fought in the American Revolutionary War and who lived from 1757 to 1834. 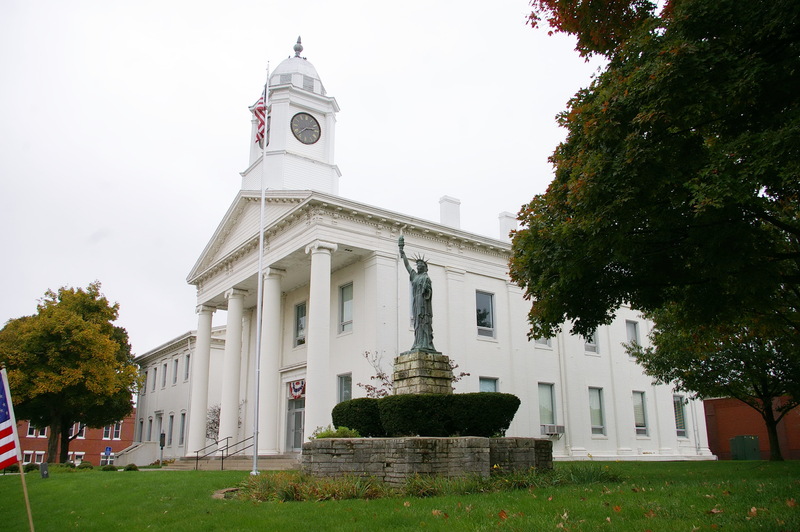 Description: The building faces north and is a two story white colored limestone structure. 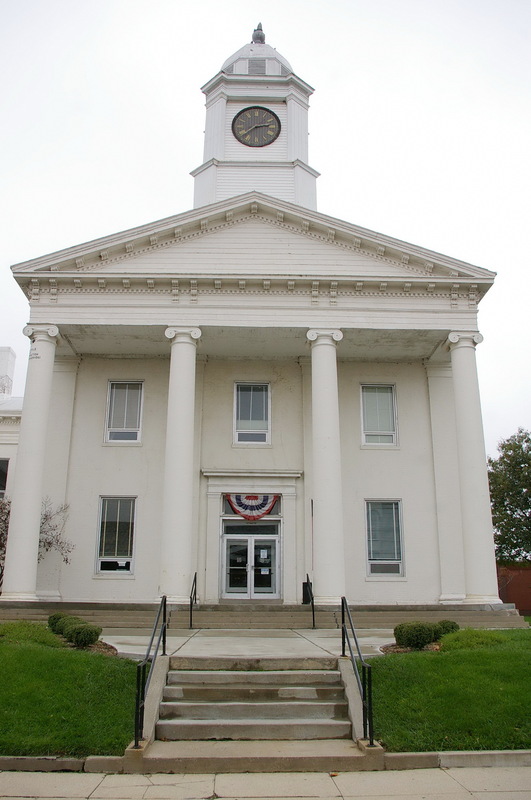 The north front of the building has four large columns supporting a pediment at the roof line. The first story entrance is recessed. 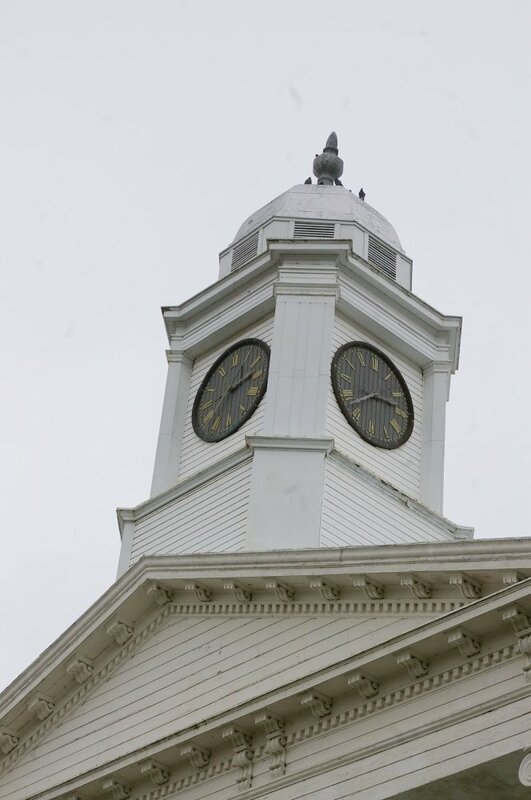 Above the pediment is a square cupola with clock and round silver colored dome. 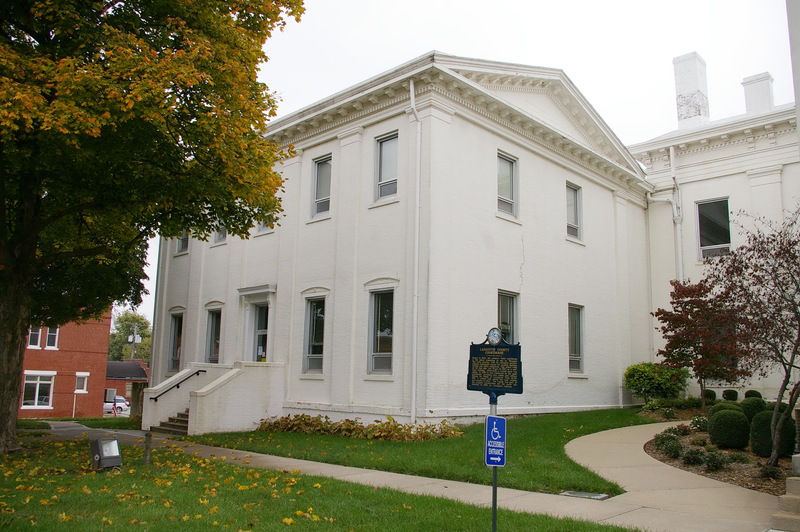 On the east side is a one story annex built in 1854. Further east is a two story square white annex built in the 1880’s. 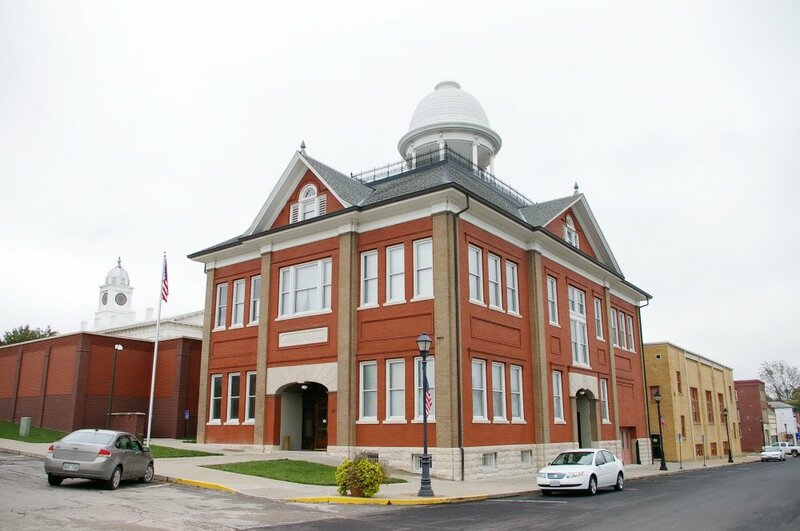 This is the oldest courthouse in Missouri. 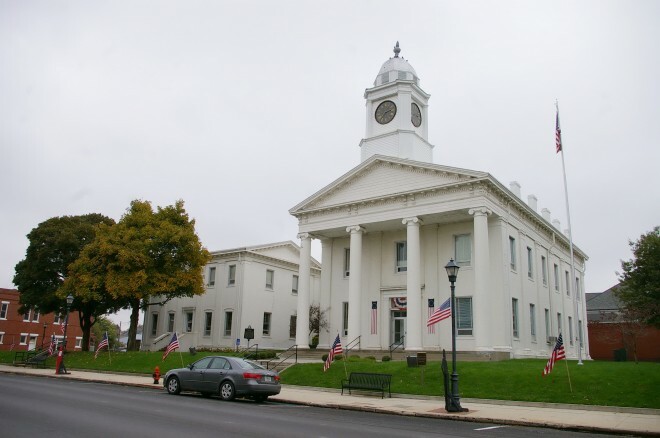 Note: The first courthouse was built by Henry Renick in 1824 to 1825. The second courthouse was built in 1835 with Mr. Rollins doing the masonry and Charles Thomas doping the carpentry. 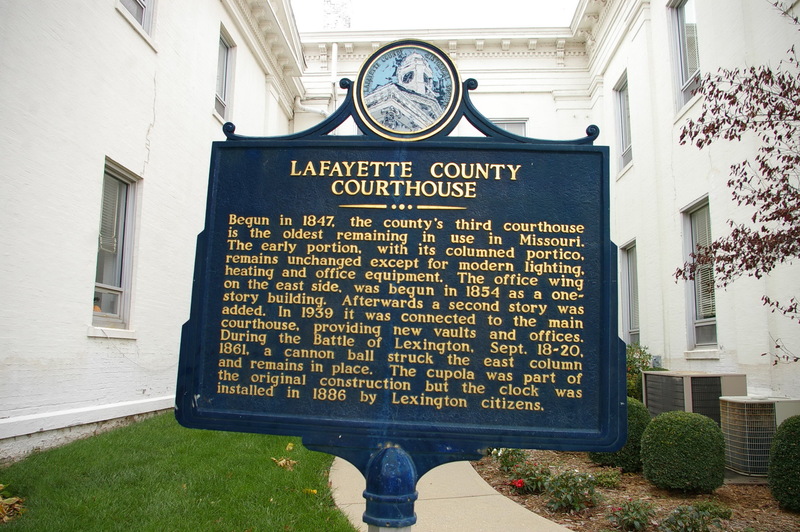 The cost for construction of the present courthouse was $14,382.46. See: The other temple-type courthouses still in use as the official county building is located in Ralls County. Description: The building faces west and is a two story red colored brick and stone structure. 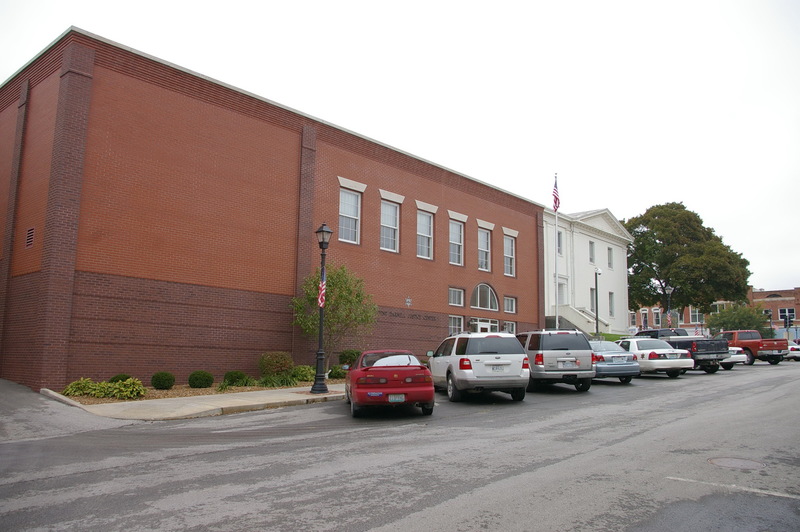 The building was constructed as the City Hall. The west front has a large arched entrance with pilasters rising on either side and at the corners. There is a similar arch on the south side. At the roof line, peaks rise above the entrances. On the center of the roof is a floating white colored dome. 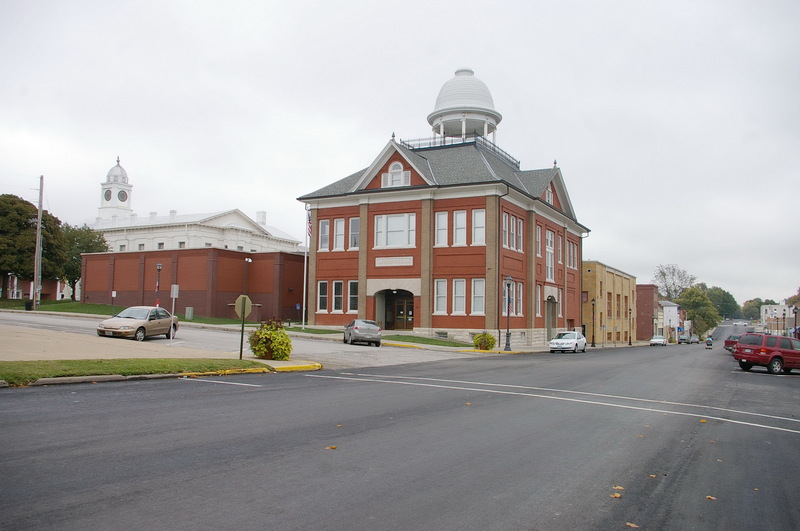 The building is connected to the courthouse. 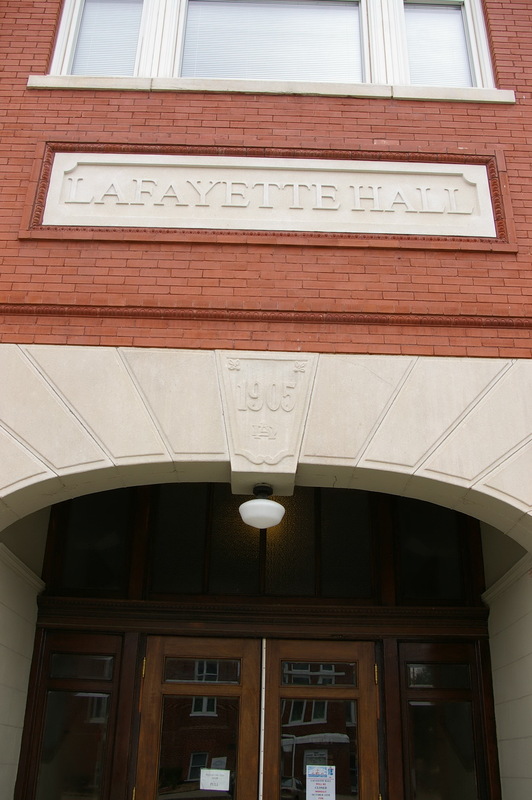 The building is named as Lafayette Hall. In 2003 to 2005, the building was converted to house court facilities. The architect was SFS Architects and the contractor was J E Dunn Construction.